The Alcantara's George is a one-of-a-kind spectacle in the world. This George, of 5o meters high, was formed several thousand years ago, when lava flows, coming from the mount Etna, met cold waters of the Alcantara river. 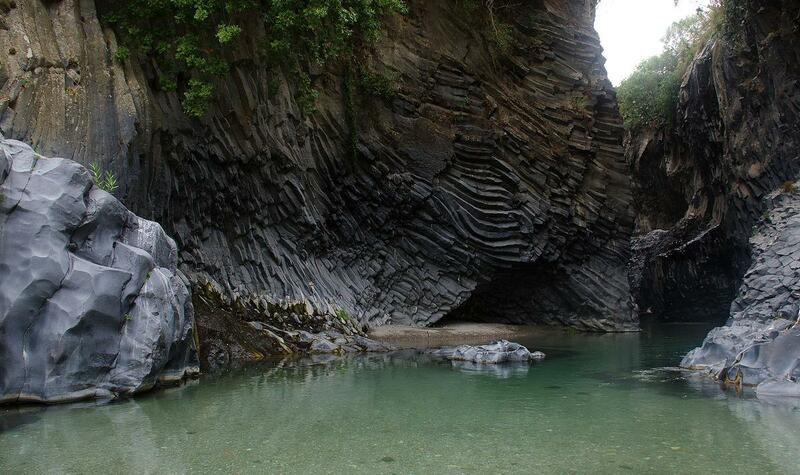 The Gole Alcantara Botanical and Geological Park allows visitors to visit this wonder of nature at any time of the year in total safety and comfort.